This is an instructable on how to build a 6x6x6 RGB LED (Common Anodes) Cube controlled by a Bluetooth App using an Arduino Nano. The entire build is easily adaptable to a say 4x4x4 or 8x8x8 Cube. This project is inspired by GreatScott. I decided to go for a more sophisticated build using bigger leds (8mm), with less distance + adding Bluetooth communication which makes adding new functions so much easier and also adds the capability of building an app to control the cube. This also allows me to e.g. code a Snake Game (3rd showcase video at the end). On top of that I added an Audio Visualizer mode which allows the cube to visualize an AUX Input e.g. Music using an MSGEQ7( showcase video at the end). Additionally I wrote an AnimationCreator application in Java with an easy to use UI to create and tweak Animations, so that anyone can build custom animations very quick. So the Sketch + Bluetooth App provides a framework for any LED Cube configuration and with the Animation Creator you do not need to worry about implementing custom animations. Since the hardware and software are equally big parts of this project, lets have a look at the theory first. The brain of the cube is an Arduino Nano. 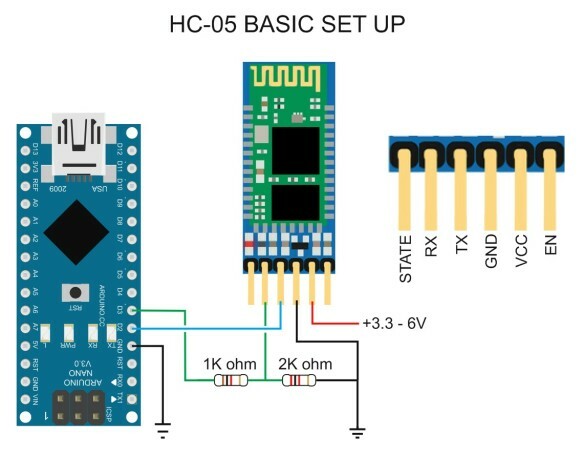 It provides enough I/O to interract with the used LED Drivers as well as establish a Bluetooth connection to an HC-05 module and other control hardware. If you have looked at other LED Cube builds, you will know that most people use simple Shift registers to store brightness values of the colors of the individual LEDs. This build does not use Shift registers, but instead so called "TLC5940" LED Drivers. As we will see later this saves us a lot of time as well as tons of additional hardware (e.g. resistors). The basic functionality of controlling the cube uses multiplexing. In this case we are multiplexing the 6 layers of the cube, meaning all Anodes(+) of all LEDs in a layer are connected, whereas the individual Cathodes of all LEDs in the same Column are connected towards the bottom. This means that if you want to light up the LED at position x=1,y=2,z=3,color: green you need to provide 5V at the Anode of Layer 3 and connect GND to the Cathode of the Column corresponding to Green Pin of x=1,y=2. So in reality at one point in time, only one layer of the Cube is actually turned on, but as you will see later in the Code we are turning off and on the individual Layers so fast, that our eye thinks the entire cube is on. To control things such as brightness, animations and so on we use an HC-05 Bluetooth module connected to the Arduino Nano. It's very simple to use the module with an Arduino since you only need 4 Pin connection and can simply interface the module via the default Serial-Commuincation of the Arduino. Towards the end of this instructable you will se how easy it is to write your own Bluetooth App to control the Cube. In my schematic of the Arduino Circuit board you can also see a small schematic for interfacing a MSGEQ7 chipto process Audio Input, this is absolutely not necessary for the actual cube and is just an additional functionality I added, hence you can simply ignore the Schematic marked with "MSGEQ7"
So lets have a look at how to build the Cube itself, before talking about the control circuit around the Arduino Nano. The first thing to do, and I now it is tedious but necessary, we have to test the LEDs. To do that, we simple connect a power supply e.g 9V Battery block with clip to a breaboard. As you can see in picture 3 the longest Pin of the LEDs is the Anode (+) so you connect this pin to the +9V of the battery. Now before connecting GND to the individual colors Cathodes( Red,Green,Blue) add a 220Ohm resistor to each cathode to limit the current. Now have fun testing all colors of all 216 LEDs. In the next step we will prepare the tested LEDs so that we can easily assemble them in columns later. Before we can solder the LEDs into their respective rows we need to bend and cut the leads. As you can see in the first picture i simple drilled a 8mm hole (for 8mm LEDs) into a piece of wood and drilled 3 very small drills to the left of the LED hole and another to the right of the hole. These drills are markers for bending the leads correctly and should have a distance of about 1cm from the middle of the hole for the LED. This technique is inspired by Steve Manley , you can find a video of him doing this in a slight variation on YouTube. Before you cut and bend the leads around the drills as seen in picture 2 and 3, make sure that the orientation of the leads corresponds to picture 1 (Blue on the top to the left ,then green, then anode + to the right, and red left again). The circle you bent into the leads should have a big enough diameter to fit the tinned copper wire (0.8mm). This step makes it magnificently easier to solder the LEDs in place nicely. As I have mentioned before, we will multiplex the layers of the cube, but for the assembly it is easier to build 6 Walls of 6x6 LEDs and then assembling them next to each other and simply run a single tinned copper wire connecting the anodes of the rows in a layer together. Beware that this step takes a lot of time and patience to do it right, in total you will have to solder around 1000 solder joints for the build so take your time! You do this 6 times to get 6 Walls of LEDs. Now we can actually assemble the Walls into the actual cube itself. But to hold the cube, we need to build some sort of ground plane. For this I simply used some thin plywood and drilled little 0.8mm holes into it, to fit the wires hanging from the lowest LED Rows (for all 6 LED Walls). The measurings for the holes of a single LED are documented in Step 3 and the distances between each LED is 2.5cm. With the holes in place we now take the first wall and maneuver it into the holes on the very left of the plywood. The LED row on the bottom should sit right on the wood, so that in the end all the Walls are aligned the same. Once the entire Cube is in place, we need to solder the Anodes of each layer together. To do this we take another ~16cm piece of straight wire and lay it on top of the first layer, so that the wire touches all the Anode wires of the 6 walls in one layer. Watch out that the new wire does not touch any of the Cathodes. Solder the wire in place and repeat the same thing for the 5 remaining layers. Now that the physical structure of the cube is in place it is time add wires to the Cathodes and Anodes to later connect it to the controller circuit board. First things first, we cut of extend wire on the bottom of the wooden plane, but leave around 1.5cm to solder on the wires. To make the software code easier to map the individual Colors of the LEDs to the LED Driver pins, we use the wiring schematic described in picture 1. Our TLC5940 LED Drivers have 16 Output each, so that means we need (6x6)Leds x 3 Colors = 108 / 16 = 6,75 -> So we need 7 TLC Drivers (the last one is not fully used). That means we need 7 x 16 wires which are connected on one end with the LED Cathodesand with a male pin header on the other end. So from your Ribbon Cablecut 7x 16 pins cables with a length of about 20cm. To solder on the male pin headers on the other end of the cables watch this video from ZTAR-Planet . So you follow this schematic so that the sequence always is : Blue Cathode, Red Cath. , Green Cath., Blue Cath., ... as seen in picture 1. You start with the first 16pin cable, once you solder the last pin of the cable, you take the next cable on solder the left most pin to the next Cathode in the sequence. So the last pin of a cable is follow by the first pin of the next cable. For the Anodes it is recommended to use slightly thicker cable since there is more current flowing through it then the cathodes.To acces the Anodes of the 6 Layers on the bottom of the Cube, we need yet some more tinned copper wire.This time we drill holes on one side of the Cube (see picture 1, white circles) and run the copper wire through these holes and solder them onto the corresponding Layer Anode. So in picture 1 the Anode labelled "0" is a tinned copper wire piece soldered to the Anode wire of Layer 0, 1 is soldered to the Anode of Layer 1, and so on. For the cable you once again solder a 6 pin male header on the other side of the cable, and the other to the extend wire of the Layer Anodes. So the schematic of the TLC Board is quite simple as you can see in the attached schematic. I also attached a screenshot of the schematic in frizzwhich includes pin labelsand also an GIMP .xcf files with layers for every Control Pin connection separated. Start by soldering all the IC sockets in place,then adding the 100nF Capacitors to each TLC, followed by the 2.2kOhm resistorsto IREFand GND and the 7 pin Header in the top right corner.. After that you can simply follow the .xcf file by starting with the "SIN layer" in the Gimp file which showcases how to connect the Serial IN/OUT pins of the Drivers using Ribbon Cables, then enabling the CLK Layer in GIMP and so on. Make sure that you have good connections of the + and - Pins to the pin Header on the top right The rest of the schematic should be self explanatory but make sure you add enough 1000uF and 10uF Capacitors to the board it is not so relevant where exactly you position them. Once this board is finished you can move on to the Arduino Board in the next step. The Arduino Control Board is mainly handling the multiplexing aswell as providing the counterpart of the pin header of the LED Driver board. Place two female Pin headers to act as socket for the Arduino in the middle of the board. Put the 6 MOSFETs in a row next to each other on the right side of the Arduino(the side with the Analog Pins) and add a 2.2kOhm resistor between the first and the last pin each. Now place the 6 pin header in front of the MOSFETs (middle of the row) and connect the 6 DRAIN pins of the FETs(middle pin) to the header and the GATE pins (left pin) of the FETs to the respective Arduino Analog pins. Next, solder the 7pin header for the LEDDriver connection on the other side of the Arduino,leave some space for cables and solder all the connections from the Arduino to the pin header. Add some capacitors (1-2 1000uF, 1 10uF, 100nF next to the Arduino) for possible current drains. Dont forget to make another 7Pin Ribbon Cable with male pin Headers on each end for connecting the Arduino board with the Driver board. So if you dont like soldering lots of cables of course you can also etch the necessary PCB's if you prefer that. In my Cube the Arduino board and the Power/Audio connector board are both etched boards using the attached schematic/EAGLE files. The first time I made a mistake in the schematic so I had to redo the LED Driver board like I did in the last step. There are no huge advantages to etch the board instead of using perboard, so feel free to either etch the board or solder it on perfboard. In the attached .zip you can find both a BOARD file as well as a SCHEMATIC file. Notice that the top layer traces (red) are supposed to be wire bridges (since I cant etch two sided boards at home). The unrouted traces showcase the connections to be made via cables for the female Pin Headers. The schematic includes the MSGEQ7 feature, which you can simply omit by deleting the section of the schematic marked "(MSGEQ7)" in the screenshot of the .pdf schematic. To connect all the parts of the Cube, start by pluging in the 7pin Cable to the Arduino Board and the Driver Board (make sure the orientation is correct!). Next plug in the HC05 Module to the 4 Pin header and connect the Power Board if separated. To connect the 7x16 Pin Headers of the Cube make sure to start with the first TLC (the one whose SIN pin is connected to the Arduino directly). Find the correct 16pin Cable from the Cube and connect it to the first TLC's pin header (make sure the cable for Cathode Nr.0 connects to the first TLC OUT0 Pin!). Go on and connect the other 16pin Cables to the corresponding TLC headers in the correct order. Last but not least, connect the 6Pin Cable for the Anodes from the Cube to the 6Pin header on the Control Board next to the MOSFETs. To finish the Cube I added walls to the case with some more plywood with black paint on it and glued them in. Now we are finished with all the hardware required for the entire build! As you can see the main focus of the code is speed. It is important that the time to change the Layer is minimal. The faster you switch on/off the Layers the more "Frames" you will get. for a 6x6x6 RGB LED Cube like this I figured out that a Layer Duration of 1700 microSec. is good enough to keep flickering at a minimum and should be left at this value. The FrameDuration controls more of the speed of the Animation so it can be changed for different Animations. In the next step we will look at how we can actually write our own Animations. To implement an animation we have to set the ValueLed buffer to the Values we want for the next Frame every time FrameDuration has passed. We do that by calling the Macro function "SETLED(x,y,z,COLOR,Brightness)"
x,y,z are the coordinates of the LED we want to set and COLOR (RED,GREEN or BLUE) is the color we want to set and Brightness is the actual Value for this particular color we set. This method is called every time the FrameDuration has passed and is selected from the switch-case command in the loop(). If you write new animations you can add them by simply adding them into the switch-case. I additionaly wrote an AnimationCreator using JavaFX and Java3D. It makes creating and editing custom Animations very easy by providing an easy to understand UI. You can create,edit,rename and reconfigure Animations for 4x4x4,6x6x6 or 8x8x8 LED Cubes. To create a new Animation simply hit File>New, under "Cube" you can select the Cube size, to set the Color of a LED select the color you want with the Color picker on the left and then left click the LEDs you want in that color for that Frame. To add another Frame hit "Next" or "+". The rest of the UI Controls is quite self explanatory, the checkboxes next to the Cubes Layers are to check which Layers should be affected by shifting and "Keep Frame". Just test it out and you will figure out everything in no time. Additionally to simulate the Animation you can click the "View 3D" Button which opens another window with a Java3D Model of the Cube. You can rotate the Camera while holding down the left mouse button (Press R to reset the Camera).To play/pause the Animation hit the P Key, to reset the Animation hit Q. The TextField below the "View 3D" buttondenotes the current FrameTime, ergo the speed of your animation. When you are done with the Animation give it a name and hit File>Save As... and save the Animation to the same folder as the Cubo_Control.ino Sketch. To actually control the Cube, thanks to the HC-05 Module it is quite simple to build a Bluetooth app to connect your Phone to the Cube. The App is open source so feel free to add additional Animations/features yourself. Click "Search" and a list of available Bluetooth connections appears. Identify the HC-05 Module from the Cube and click on it. NOTES: Since it is very hard to accurately capture the LED Cube in bad lightning conditions, I turned down the brightness of the Cube to 15 (max: 255). Note that in reality with full brightness for the human eye there is no flickering of the LEDs whatsoever. The Red Animation at the end instantly signals Game Over when you move the Head into any part of the tail of the snake.